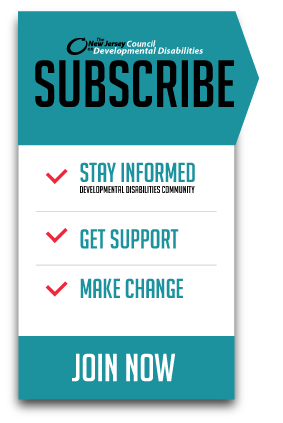 Stay current on vital up-to-date information for families and self-advocates; highlights organizations, programs, and individuals that make positive changes in the developmental disabilities community; and shares noteworthy developmental disabilities stories from across the state and across the nation. “What’s Your Advocacy?” Part II – Advocacy Conference Only ONE MONTH AWAY! Want to Become a Better Advocate in the New Year? Election Day is Five Days Away! Are YOU Ready to Vote? Make YOUR Community Building Awards Nomination TODAY!